Wordfast Classic (WFC) integrates with Microsoft Word to create a powerful translation memory tool that is quick to learn and easy to use. Discover why thousands of freelance translators worldwide rely on Wordfast Classic as their TM tool of choice. Because WFC operates entirely inside of MS Word, there is no need to install or run any additional applications or extensions. The MS Word interface decreases the learning curve and enables most translators to be up and running in just a few hours. Translators also benefit from the many features and shortcuts already available in MS Word. WFC can run on Windows, Mac and Linux with MS Word running (excluding Mac Word 2008). User-defined macros allow you to customize WFC’s feature set to meet your specific project needs. WFC offers complete and unrestricted access to dictionaries in virtually any format. Additionally, translators can link to multiple web-based or local Machine Translation (MT) engines to provide MT when no match is found in the TM. WFC warns about potential translation errors as you work, including errors in spelling, grammar, punctuation, terminology consistency, tag symmetry, and other time-consuming issues you may overlook. Wordfast Classic supports any language that is supported by Microsoft Word. This includes Eastern European, Cyrillic, Asian, Right-to-Left, and various other languages. MS Word (PC): MS Word 2000 and higher*. MS Word (Mac): MS Word 2011**. * Full desktop version (click-to-run version is NOT supported). 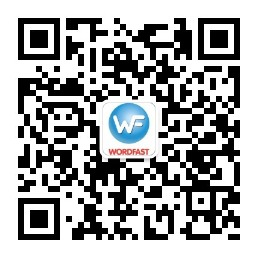 ** Wordfast Classic DOES NOT run on MS Word 2008, 2016 or 2019 for Mac. TMs: Store up to 1,000,000 TUs per single TM. Translators can create as many TMs as they need. WFC can read/write TMX 1.4b. Up to 1,000 translators can share the same TM over a Local Area Network. Glossaries: Store up to 250,000 entries per single glossary. Translators can access an multiple glossaries simultaneously. WFC can import/export glossaries in tab-delimited text format.